We are family owned and operated automotive dealership that values the ideals of giving back. Our Community Partnership Division takes a “hands on” approach, not only with monetary contributions but by emphasizing public service and promoting volunteerism with our employees, generating man power to the many charities we work with. The Hillsborough Education Foundation is invested in the success of over 200,000 students in Hillsborough County Public Schools by providing educational resources and financial assistance to help give every student, regardless of background, family structure or economic status, the opportunity to achieve personal success. We assist the HEF with Take Stock in Children scholarships and the delivery of Yoobi school supplies to our local area. 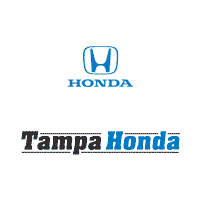 For the past 5 years, a portion of the proceeds of every vehicle sold has been donated to the Moffitt Cancer Center. We celebrate our partnership in the month of October with a check presentation ceremony and every associate wearing a pink uniform shirt for the entire month. This donation has reached a total of $355,000 and just this year we pledged to donate $500,000 to Moffitt. We believe that when you change a child?s life, you change a family?s, which can change a community and ultimately the world. In the last 5 years we’ve touched over 500 families needing a home cooked meal after they’ve just spent a long day at the children’s hospital. This allows them more time with their children at the hospital and relieves the financial stress of having to pay for a meal every evening. Metropolitan Ministries provides answers for poor and homeless families living in our community through services that alleviate suffering, promote dignity, and instill self-sufficiency. Over the past 4 years, 90 of our associates have participated in serving and preparing meals, cleaning kitchens, working in the clothing and food pantries and volunteering at the Holiday Tent where thousands of families are given food and toys at the holidays. Our dealerships hold blood drives with One Blood and always have a wonderful response! Our associates have given over UPDATING 300 units of blood over the past 4 years to help save 900 lives! Way to go team Honda! ~Please join us for our next blood drive. Through the work of Habitat, thousands of low-income families have found new hope in the form of affordable housing. We have joined with the East Central Pasco Habitat for Humanity and the Hillsborough Habitat for Humanity affiliates to successfully tackle a significant social problem–decent housing for all. We built and financed the first Wesley Chapel Habitat Home and through the program, we’ve gone on to sponsor and build 12 more homes in our local community. In 2015, we were proud to be awarded the Presidential Volunteer Service Award through our work with Habitat. Everyday Blessings, a local foster home that specializes in keeping siblings together, has become a second home to many of our associates. We have spent quality time with the children having pajama bingo nights, adventures to the Lowry Park Zoo, head down to the bowling alley, Sunday Fun Days, and it’s nothing for us to load up a few Sienna’s and take all the children out for ice cream! Rotary Clubs exist to serve humanity! Our Community Partnerships Director Eric Johnson has been a member of the RCWC for years now. He has served as President of the Club and continues to serve on many committees within the club. It?s an amazing local charity based right here in Wesley Chapel….dedicated to sending care packages to our troops overseas. American troops stationed in remote areas send emails and letters each day requesting everyday items such as Q-tips, CD?s, batteries, school supplies, coffee, toys, candy etc. Our dealerships understand that being in the armed forces requires sacrifice and in sending hospitality to those deployed we can give much more than just a ?Thank You.? Eric Johnson, our Community Partnerships Director is continuing to fulfill our mission of not only impacting our local community but our global community as well. This year, Eric and 15 members of the Rotary Club of Wesley Chapel will give up a week of their lives to serve the less fortunate in a country plagued with contaminated water. They install bio-sand filters into homes and build latrines at schools in the mountain villages around Trojes, Honduras. PACE provides girls and young woman an opportunity for a better future through education, counseling, training and advocacy. They believe each girl deserves an opportunity to find her voice, achieve her potential and celebrate a life defined by responsibly, dignity, serenity and grace. We enjoy sponsoring programs for PACE and assisting them with any ?hands on? help we can! 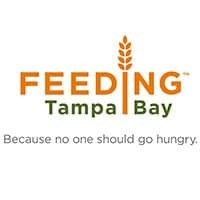 Feeding Tampa Bay?s mission is to change lives one meal at a time by leading our community in the fight against hunger. There?s a good chance someone you see each day is hungry. In Tampa Bay, more than 700,000 people are food insecure, meaning they lack consistent and easy access to safe, nutritionally adequate food. And the problem isn?t limited only to the homeless. Many who struggle to find adequate food are working adults, children and the elderly. This is why we bring teams out regularly to volunteer and serve at Feeding Tampa Bay?we know we are helping to make a difference with hunger! 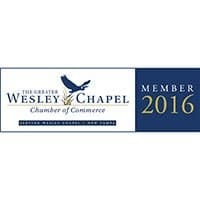 To provide valuable services to our members, advocate for a positive business community and sustain and further develop a thriving economy for the greater Wesley Chapel and New Tampa Region. Our chamber has seen amazing growth. Today, the Chamber has 545 members, and is here to serve our business community?..actively involved in local government, regional economic development and providing valuable resources to our members. The USO strengthens America?s military service members by keeping them connected to family, home and country, throughout their service to the nation. The Tampa Bay area alone is home to over 50,000 troops and their families. ?With the presence of MacDill Air Force Base, five Coast Guard stations including the largest Air Station in the country, dozens of Guard and Reserve units and approximately 300,000 military personnel traveling through the airport annually, there was a definite need for the support only a USO can offer.? We are excited every year to be involved with the USO?s event, Operation That?s My Dress, where over 1,000 gown or cocktail dresses are given to military teens, female service members and military spouses.